The archive formats vary by app and by export selection in Calendar. The Calendar and Reminders apps in macOS let you create backups through an export option. 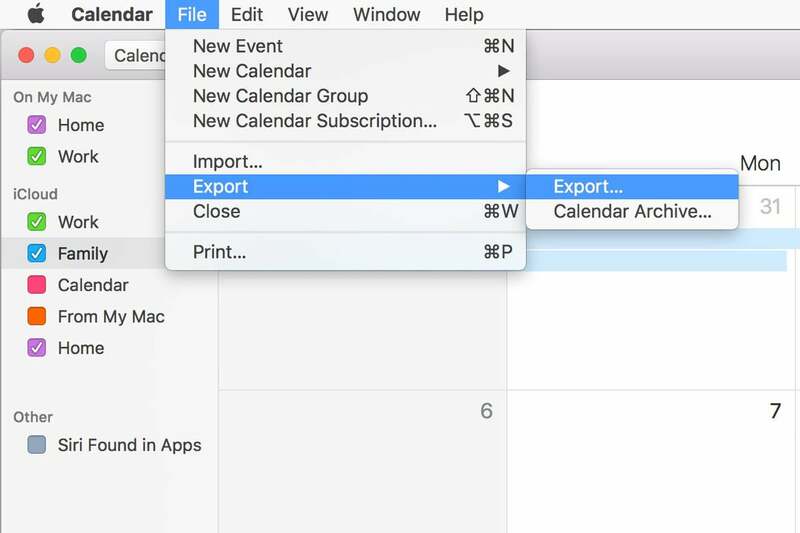 In Calendar, you can select File > Export > Export or Export > Calendar Archive. Reminders lets you select File > Export. The exported files can used for recovery or imported into other apps and systems. What’s the difference between these options, and why select one over another? All the options produce some variation on an ICS file, a standard calendar format supported by Apple, Google, and Microsoft, among others. The export in Reminders produces a single ICS file that contains all to-do items you’ve ever set and never deleted when complete, as well as all active items. Select a particular calendar in the Calendar’s left sidebar and then choose File > Export > Export and an ICS file containing all that calendar’s associated events will be exported, past and future. This file doesn’t include reminders that are associated with that calendar, however. Choose File > Export > Calendar Archive, and the Calendar app produces an ICBU file. 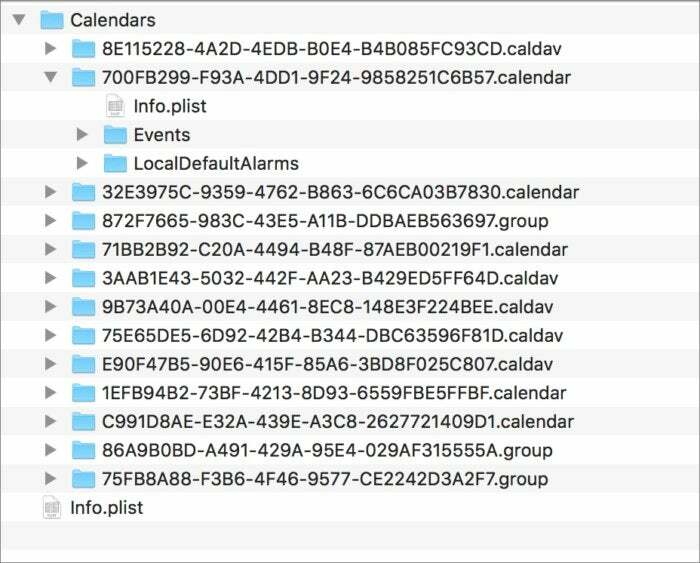 This is a macOS package (a folder that acts like a file) that contains the entire structure of all calendars and their events as well as all reminders, all in ICS format. Apple highlights that by naming the export “Calendars and Reminders” plus the current date and time. The splayed out contents of the ICBU package file, which is full of folders of ICS files. Because the underlying calendar and reminders files get backed up by Time Machine and drive cloning (if not third-party cloud backup software, which can vary), there’s typically no good reason in modern times to back up the data. But it’s a useful interchange format if you’re changing calendar software (from Apple to Microsoft) or setting up a new system in some very clean way in which you don’t want to sync from an old account. This Mac 911 article is in response to a question submitted by Macworld reader Ronald.